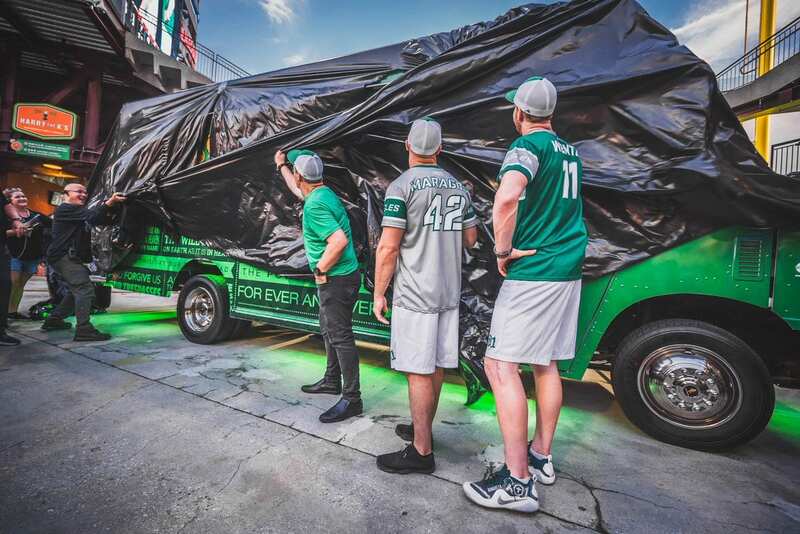 Carson Wentz’s AO1 Foundation food truck will hit the city of Philadelphia for the first time Friday night, and it will do so with one charitable catch. Its food will be free. The 25-foot-truck, announced as “Thy Kingdom Crumb” at the Philadelphia Eagles quarterback’s inaugural charity softball game this summer, will launch from 6-8 p.m. And thanks to Wentz’s mission for it to be “a source of love, dignity” and unconditional service, all of its food will be available at no cost. 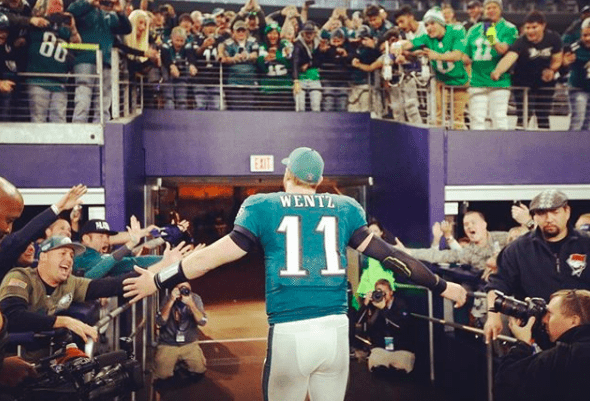 Founded as a vessel to share “the gospel of Jesus Christ,” which Wentz has repeatedly proclaimed since joining the NFL, the program is just the latest venture of the quarterback’s AO1 Foundation. At the softball game in June, for example, he raised more than $850,000 to couple with his own $500,000 donation toward the construction of a shelter and sports complex in Haiti, the site of Eagles-attended mission trips the last two years. Our teams are training, praying & getting ready!! Bimbo Bakeries, @LibertyCocaCola and New Jersey's @RastelliMarket have donated food/beverages for the launch of Carson Wentz's @AO1Foundation food truck, per Carson's brother, Zach. All food will be given out for free in Philly. Wentz and the defending Super Bowl-champion Eagles will kick off their 2018 season on Sept. 6, six days after the truck’s debut in Philadelphia.